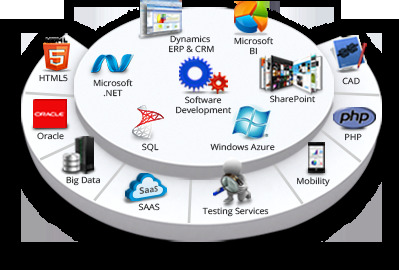 Our innovation and insight in software service domains span product engineering, application development, application maintenance & Support, BI & Data Warehousing and QA & Testing. Computers run the civilized world, software organises them. With the never ending need for organisation in this wild computing age, we at Enaviya tame computers with our software. We believe in delivering nothing but the best. Our skill in providing customised software solutions is enriched with experience from industries that span various backgrounds. With a modest line of products that tackle most industry related problems and a quality service line-up Enaviya is well equipped to handle the requirements of companies of any size. Enaviya is proud to have successfully completed challenging, interesting and business critical projects. We make business' organised, streamlined and ready to take on the world at an all new level. With a center of excellence that beats most companies and the expertise of multiple generations of programmers, our code is just as efficient as we promise to make business. All in all, a software solution is what you need, and Enaviya is what you want. Enaviya offers a broad range of complete, consolidated products and services creating powerful business solutions for our clients around the world. Enaviya's approach has been an integrated partnership with its clients across disciplines, helping us to plan, synergise and extend service levels with better clarity and purpose. This translates into streamlined process systems and increasing financial benefits in the long run to all the stake holders. Our innovation and insight in Service domains span Product Engineering, Application Development, Application Maintenance & Support, BI & Data Warehousing, QA & Testing and Truss Engineering. Enaviya's Products lineup currently focuses on the growth-intensive domains of Travel Management, Expense Management, Procurement and Auction Solution, a range that continues to grow along with its user base spanning the globe.